Trailer for Service entrance, also known as The Women on the 6th Floor (Les femmes du 6e étage). It's Paris, 1962. The marvellous Fabrice Luchini (Potiche) stars as wealthy stockbroker Jean-Louis Jouvert, who lives a staid bourgeois existence with his perfectly-presented socialite wife (Sandrine Kiberlain). But when the family's maid abandons them, into the residence comes Maria (Natalia Verbeke): young, hardworking, and -- quelle horreur - Spanish! 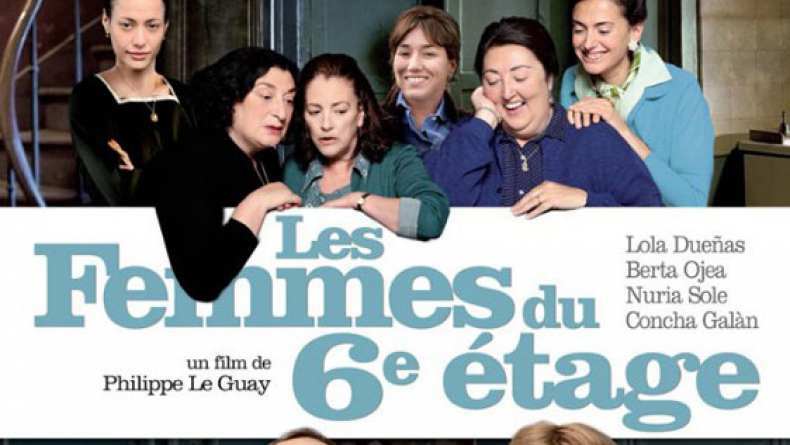 Directed with verve and charm by the talented Le Guay (The Cost Of Living), THE WOMEN ON THE 6TH FLOOR is a warm-hearted delight, in any language. Luchini and Kiberlain are terrific as the austere couple brought to life and then -- potentially - breaking point, when Jean-Louis literally discovers a room of his own. Still, the show arguably belongs to the lively ladies upstairs, including the young breakout Verbeke.